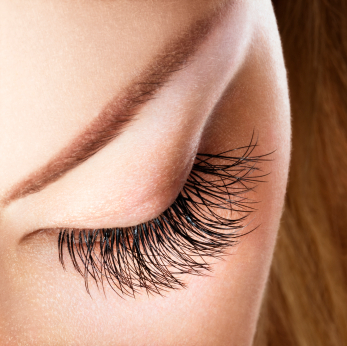 Individual semi-permanent synthetic lashes are attach to one of you own eyelashes repeating this procedure until you have a full set of thicker and / or longer eyelashes. If you have a few missing or maybe thinning eyelashes then this is your answer. The lashes make a dramatic difference but are still very natural looking. You will not need to wear mascara and still look gorgeous. The procedure takes between 1 and 2 hours to complete as up to 100 extensions are added per eye. You could have a manicure and pedicure done or simply fall asleep during the treatment.